It was a lazy summer for oil markets. 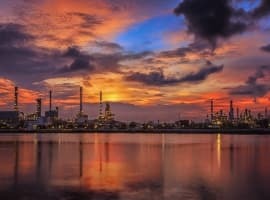 From May through early August Brent crude oil prices fell from $80 to $70 as economic growth concerns overruled fears that the market was inadequately supplied. Oil’s rally had cooled- as had talk of $100 oil- and most analysts forecasted moderating prices as the US summer driving season came to a close. The sideways trend was interrupted in mid-August after the Trump administration took aim at Iran with harsh sanctions which reignited fears that there simply isn’t enough oil being produced globally. This week those fears manifested in yet another leg higher in prices as Brent crude oil futures topped $86 for the first time since 2014. Brent is now higher by about $16 (28 percent) on the year and talk of $100 oil as a risk to consumers and a boon to suppliers is back on.